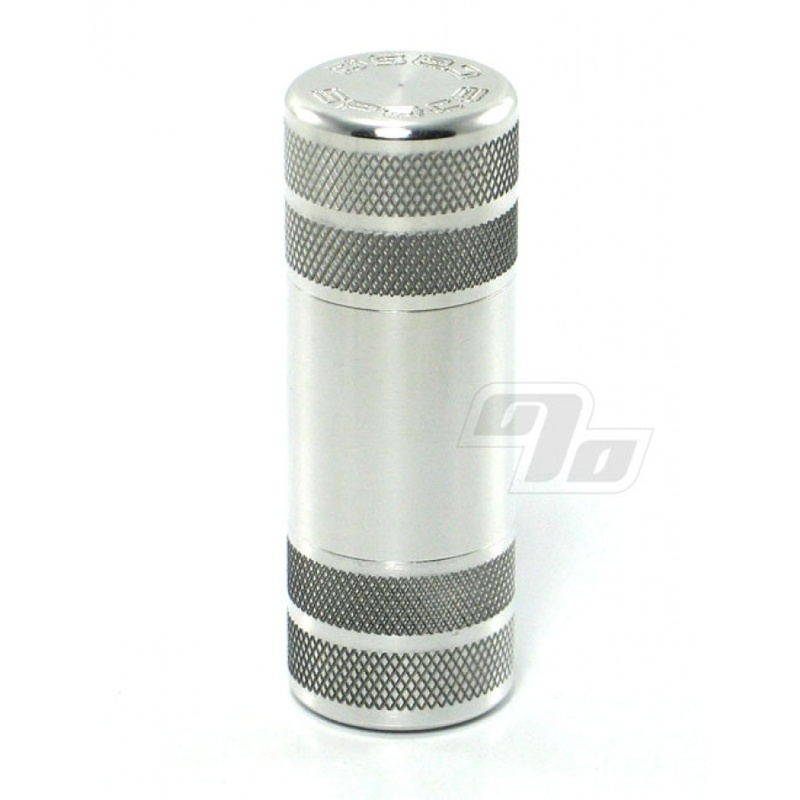 Space Case Pollen Press is one nice way to accessorize your grinder/sifter and/or pollen box. 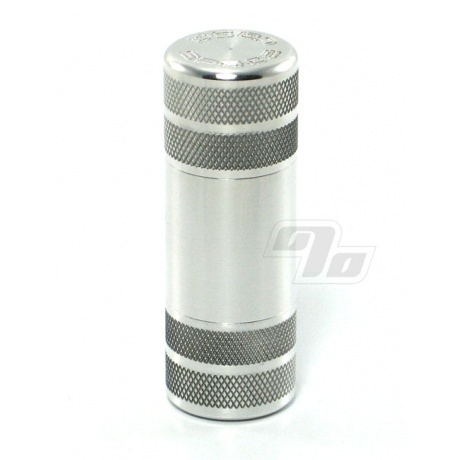 2 3/4 inch tall by 7/8 inch diameter precision machined aircraft aluminum pollen press. 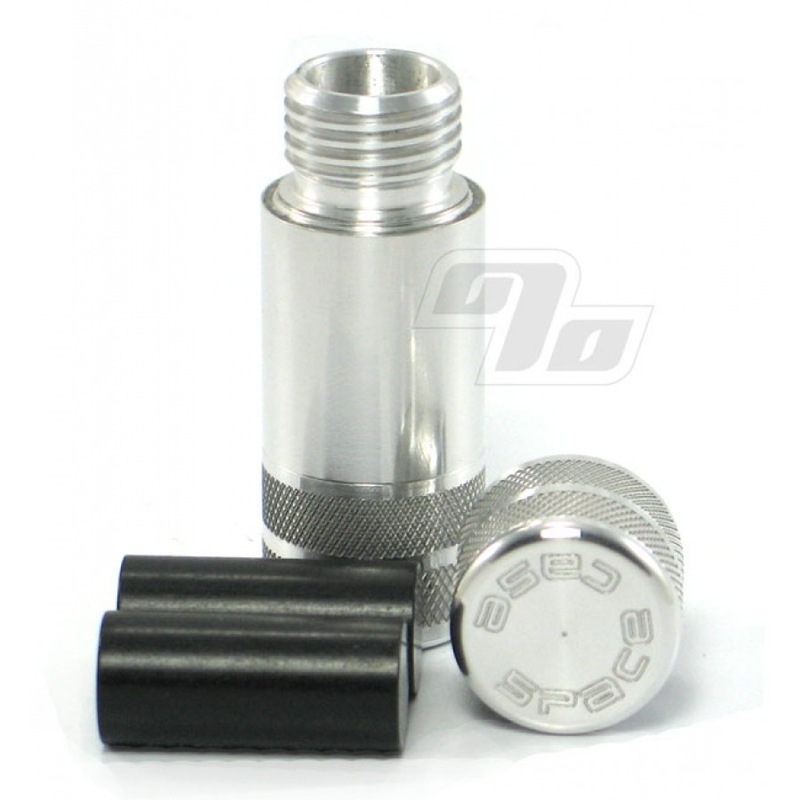 Pair with a Space Case grinder sifter and compact your collected pollen. As with all Space Case, beware of cheap Chinese knock-offs on Amazon/Ebay. 1 Percent is an authorized distributor of genuine Space Case grinders and accessories so the Space Case Lifetime Warranty in full effect here. This pollen press is very easy to use. It comes apart easily and appears easy to clean. Small and discreet also is a plus. If you utilize a grinder much this item is a must! Does exactly what it's supposed to. Pellets are easily removed after an hour in the freezer. A must have for the descriminate user. Depending on where you're on the sophistication level of consumption... if you're cleaning, why waste le creme? and then why not use simple, but finely engineered method of pressing kief effortlessly into discs reminiscent of blonde lebanese of yore!! Another well designed and implemented 'implement" ! Stop wasting and get to pressing! All that good pollen is going to waste without it.